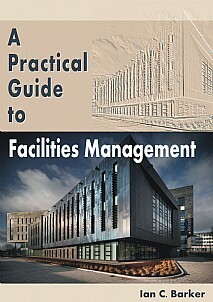 This book provides a readily accessible and practical guide to the increasingly important subject of facilities management. It shows the formal basis for the complex and constantly moving requirements of FM and recognises that it is becoming more vital in its role of enabling the core business of a company to function effectively and is fast becoming a methodology for affecting and influencing the profitability of most organisations. Based upon the author’s many years of experience, A Practical Guide to Facilities Management gives an overview of most FM theories and applies them in the workplace. It is a thought-provoking approach to FM practice and illustrates what the author has found to work. Throughout the text thematic graphics are used to present helpful tips, key action points, things to avoid and key elements of theory. An aide memoire summarises each chapter to help assimilation of the key parameters. The modern challenges of FM mean that more and more managers need to be innovators and to do more with less. This book will facilitate that process. In addition, it provides useful tips on the issue of sustainability and how a company can profitably benefit by FM actions in this area. This book will appeal to those entering FM who want a head start with setting up and running a department and to existing practitioners who are seeking helpful hints and tips. It will also form a valuable primer for students of FM who want to see how the practical day-to-day issues of FM can be dealt with.